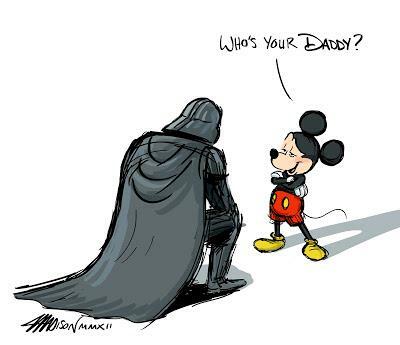 The news of Disney buying Star Wars has caused a lot of talk over the internet. A lot of people have voiced their dislike and concerns of Disney’s involvement. I too, a fan since the Original Trilogy, have had my fair amount of concerns with sequels coming to the surface. Especially after the prequels, which I have come to love after much time. Here is some of the talk around the internet. Other thoughts from fans think that Disney is going to ruin the series, but honestly, can’t get any worse off than the prequels. Disney’s involvement is really not going to matter. As they did with Marvel, they allowed them to work as a separate entity and the Marvel universe has become a success with more movies to come. Disney does not want to add their fairy tale style to the galaxy and let it continue to run it’s course. With all the concern, JJ Abrams finally speaks as to what is expected about Disney and Lucasfilm working together. Many fans are worried about ” Disneyfication” on the Star Wars films. The beauty there is Disney doesn’t want that. They are well aware of this and they are very careful to make sure that…they are sensitive to that. They don’t want that at all, that’s the last thing they want. But that company, which is Marvel, they have…it’s incredible the scale of that company. They are as aware of that as anyone. Check TheHothSpot facebook page for the interview with JJ Abrams where he talks about all his projects and voices his thoughts about fan’s concerns.